Reminder: The end of 3rd quarter is this Friday. Parent Teacher Conferences are scheduled for Thursday, March 28th and Thursday, April 4th. FCCLA will meet today during Patriot Pride Time at 3:00. Post-Prom Sign up is in the office. If you plan on attending the Post-Prom party, sign up is mandatory. You will not be allowed to attend if you have not signed up. It's time to think SPRING!! If you are interested in joining Girls' Golf or would like to hear more information about Girls' Golf, please sign up in the high school office or talk to Coach Herman. Coach Herman is at the elementary from 8am-4pm every week day or you can email her at ashley.herman@may-portcg.com. Awards night for Girls Basketball and Boys Basketball is scheduled for Thursday night at 7:00 PM at the High School. Jr High players are invited to attend. Junior Bank Board will be meeting next Monday, March 25th at 7:30 AM in the Mayville office. Please bring a senior picture with you if you have no already done so. Thank you! Fish Fry! The MPCG Boosters will be hosting a Fish Fry at the High School this Friday, March 22nd from 5-7 PM. They are serving fish, baked potato, salad and desserts for $9/person. The funds raised will go towards the outdoor sports complex improvement project. Students in grades 6th-12th can fill out a bracket for the men's NCAA bracket for a prize to the overall winner. Brackets can be picked up outside Mrs. Hanson's room and are due by Thursday morning @ 9:00AM to Mrs. Hanson. Slide them under the door of her classroom. Congratulations to the students participating in the North Dakota All State Music Festival starting tomorrow in Bismarck – Grace Koshney, Ila Peterson, and Malena Twedt. Today’s menu is Salad Bar, Vegetable Beef Soup, PBJ’s, and Fruit. 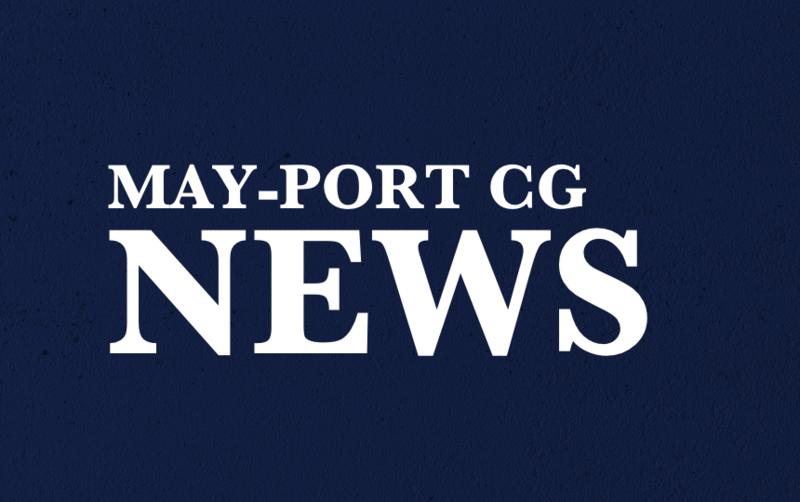 May-Port CG Dollars for Scholars: Seniors apply electronically by going to . Go to the parent-student tab in order to register. You are asked to submit a 300-word essay about career objective and future goals. If you run into problems, click on the support tab on the left hand side of the screen or come see me. In addition, applicants need to turn into the school a form detailing their volunteer experiences throughout high school. Application due date: April 15th. Don't wait until the last day because transcripts and a reference will need to be uploaded. Be sure to go into the MY Scholarship tab to apply for all the separate scholarships that appear.